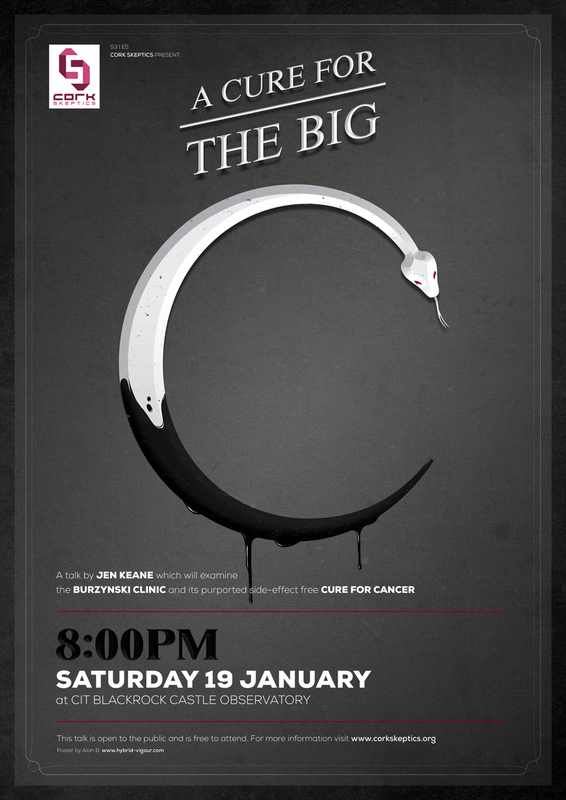 Our next meeting will take place on Saturday 19th January at Blackrock Castle Observatory, starting at 8.00pm. Stanislaw Burzynski has a cheap, effective, and side-effect free cure for cancer, and the FDA don’t want you to know about it. For over 30 years, Burzynski claims he has treated cancer patients who had no other options, and given them back their lives. In the past, most of Burzynski’s patients have been in America, though recently, a surge of celebrity-led publicity surrounding some UK patients and their fundraising efforts means that Burzynski has well and truly crossed the pond. Increasing numbers of UK, and now Irish patients are signing up for treatment, and while some patients are claiming shrinking or disappearing brain tumours, many more seem a lot further from success. In this talk, I hope to shine a critical light on Burzynski’s treatment, the financial burden that it represents for those who sign up for it, and whether or not he is really offering a cure, or just expensive false hope. About the speaker: Jen became interested in scepticism and science investigation while in college, when a group project on clinical trials ended up highlighting the problems with trials, and the inconsistency in their quality, execution, etc. The group project sparked an enduring interest in clinical trials, and science communication, which would ultimately culminate in her winning the Whittaker Award, twice consecutively, for talks on the TGN1412 clinical trials, and on biofuels. She graduated from NUI Maynooth with a double honours degree in Biology and Computer Science, and is currently pursuing a MSc with the Open University. Jen blogs and tweets as Zenbuffy, and began writing about about science and scepticism in 2009, and has covered topics such as homoeopathy, psychics, miracle cures, and science reporting, to name but a few. Though always an area of interest, her father’s battle with cancer has made the area of cancer cures and quackery a particularly important one for her. 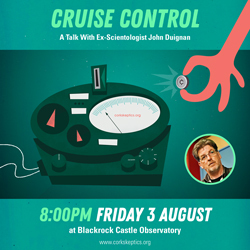 Categories: Alt Med, Events, Health, Pseudoscience, Science, Skepticism, Skeptics In The Castle, Woo | Tags: blackrock castle observatory, burzynski clinic, cancer, cancer cure, cork, FDA, ireland, jennifer keane, poster, research, science, skeptic, skeptics in the pub, snake oil, stanislaw burzynski, talk, zenbuffy | Permalink.